Since 2008, Snapshot Photobooths has set the bar for photo booth rentals in New Jersey. Snapshot Photobooths is a division of and powered by the SCE Event Group. We offer a fun photo favor experience that incorporates your guests into the entertainment action. The key word is fun, and we want everyone to enjoy the time spent and experience of being in one of our awesome booths. Photo booths have become the hottest trend in the wedding world and rightfully so because THEY ROCK! They are enjoyed by guests of all ages and also can be used as a cool interactive favor, giving you one less thing to worry about for your big day. Each time someone enters our booth, they are given the option to select between black and white or full color photo strips that are printed in less then 10 seconds. From there one strip is given to the guests as a favor while the other is placed in a leather scrapbook where the guests can write you a message. You get the book with all your messages and images that night and in a week you will receive a copy of the digital images. If you are looking for your guests to be able to leave you candid Video Messages, then check out our Vanity Collection. 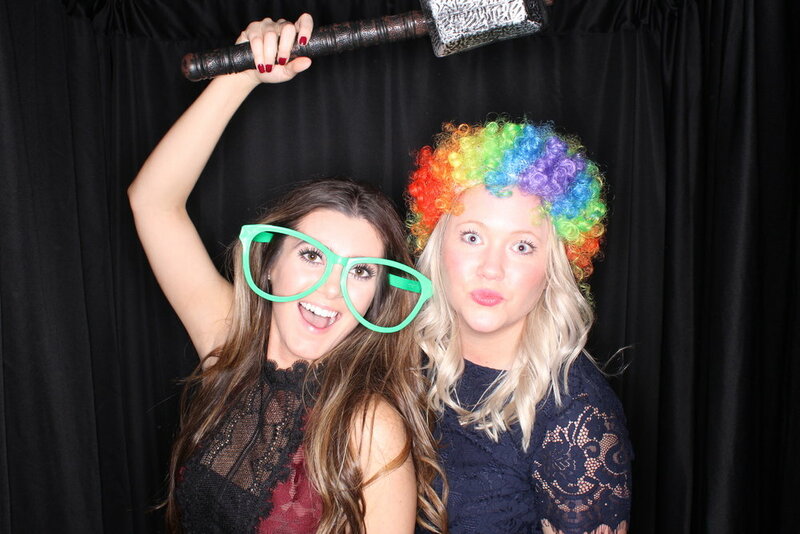 At Snapshot Photobooths, we also allow you the ability to select from 6 different photo booth designs, including a broad array of draping material for our lounge series of booths to blend into your venue or events color palette. Our booths range from a traditional Coney Island Boardwalk style booth, to the modern Vanity Collection sleek photo booth, to a small footprint (place it anywhere) Open air style photo booth, and of course our most popular Modern Lounge booth that can fit up to 18 guests in it staged with your choice of drapery to match your venues and celebrations decor. From classic to contemporary, at Snapshot you have options for the type of experience you can have. Using the highest quality equipment, our photo prints are produced in less then 10 seconds – so you don’t have to worry about long booth lines and our booths are all professional units that are purchased so they will not appear like a home made science project that could fall apart at your party. Interested in more information? Please give a call at 888-278-0900 and one of our representatives would be glad to help you with your questions, or reserve your photo booth today.